The highlights of Reason 10 were the cosmetically similar but sonically very different synths: Europa and Grain. Europa had such an impact that the Props have also decided to release it as a separate AU/VST instrument so all DAW owners can enjoy its wavetable charms. Should there be any jealousy among Reason 10 owners, annoyed that one of their jewels is now available elsewhere, they do get the bonus of getting it free to run in any other DAW they might have. It’s a Europa win-win for everyone, then, especially as the synth really is rather good. 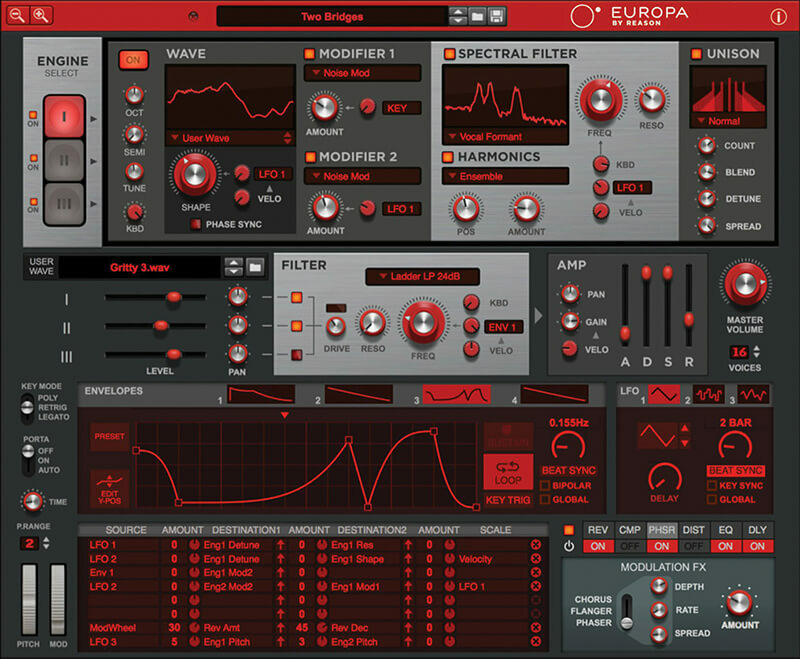 Propellerhead describes Europa as a ‘shapeshifting and infinitely powerful spectral wavetable synthesizer’. It’s sonic scope is huge although you’ll think it’s perfect for EDM to start with as many of its 500+ presets demonstrate droning wobbles, searing leads and deep basses so well used in dance music. 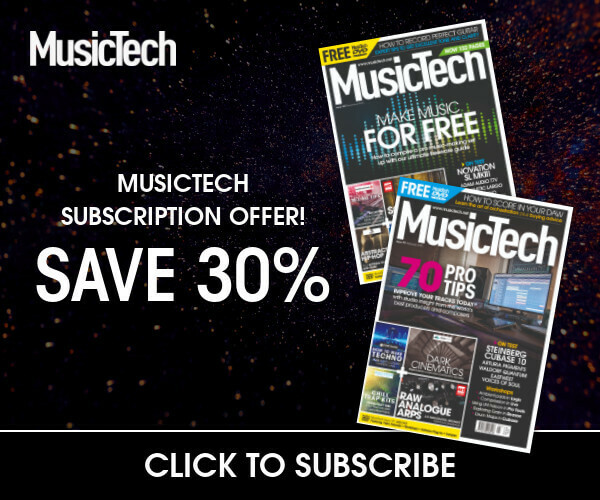 However, once you explore the three main engines, oodles of modulation, effects aplenty and loads of filter types, you’ll discover that this beast is as sonically varied as you want it to be. So much so, in fact, that we’ll be using Aurora in our Reason Sound Design series of workshops (coming soon!) – it really is that good. Part of its charm is that Europa’s really pretty easy to get your head around. Those three main engines at the top left start a logical signal flow to the right and then move down top to bottom. A Spectral Filter is a stand-out feature on Europa and offers some incredible sound manipulating possibilities. When combined with the three engines and their waveforms and wavetables, you can get incredible movement in your sounds which is easy to control if you assign the Shape dial to the flexible Envelope section. New to Europa in Reason 10.1 was the ability to input your own audio samples to use as oscillator waveforms or custom wavetables and even apply them to the Spectral Filter so that its Spectral Multiplier takes on the shape of your audio. Bottom line? Loads and loads of sound mangling and oodles of quality presets make Europa a bit of a star.